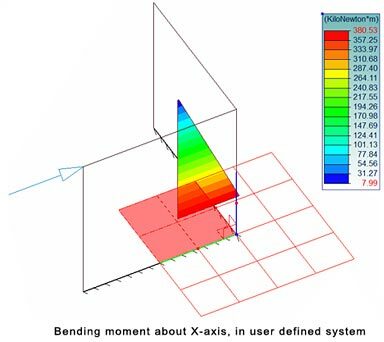 Starting with Advance Design 2011, the torsors can be viewed in a user-defined coordinate system. Because of the walls group orientation, this is necessary especially when the torsors on a walls group are irrelevant if they are displayed in a global system. 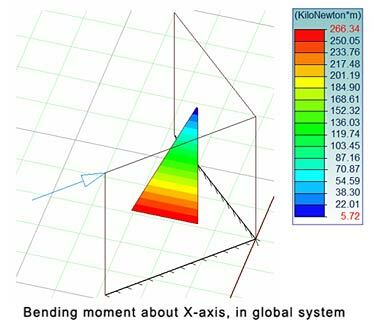 Loads that will act on the walls group will be the self weight and a horizontal force of 100 kN defined in the local axes. 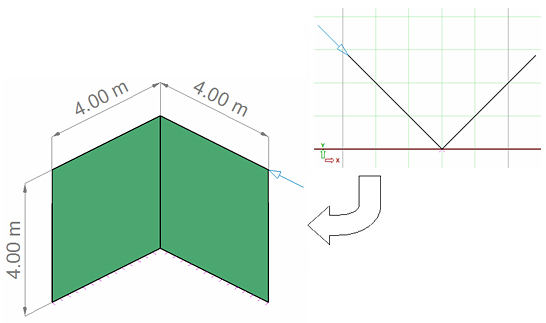 In order to make this structural system to work as "a whole", a walls group must be defined. This is done by grouping all the wall elements in a separate system. 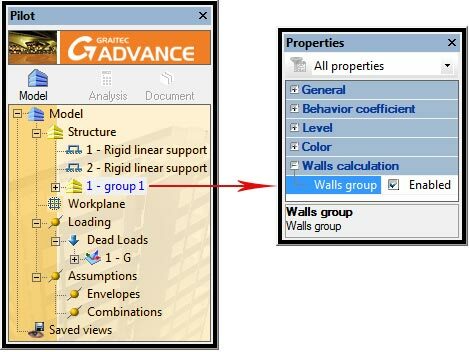 In the properties window, under "Walls calculation" select the "Walls group" option. 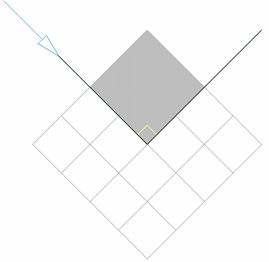 To be sure that we get the desired torsors, we will create a coordinate system that corresponds to the plane determined by the directions of the two walls (see following figure). To view the results in the global system choose the "Torsors" option from the "Analysis - F.E. Results" toolbar, and then select the torsor to display (for example "MX / Group"). 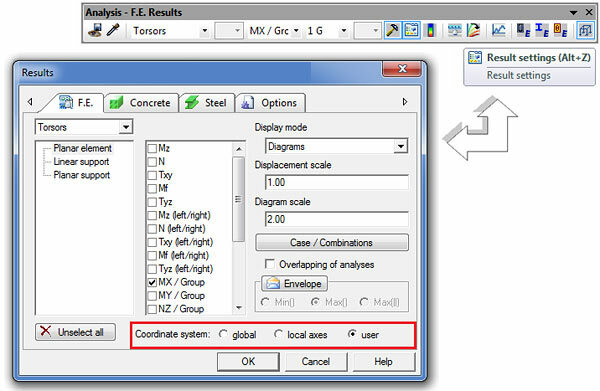 To view the results in a user-defined system, access the "Result settings" window and select the "Coordinate system - user" option.